The Kelly Blue Book (KBB) Brand Image Awards have just been handed out and Subaru takes the Most Trusted Brand in America crown away from Honda. According to more than 12,000 in-market new-car shoppers on KBB’s website, they have “voiced their opinions about today's automakers to determine this year's award winners”, said Hwei-Lin Oetken, vice president of market intelligence for Kelley Blue Book. The 2015 Brand Image Award winners are based on annual new-car buyer perception data gathered on KBB.com. Subaru wins its first-ever Kelley Blue Book Brand Image Awards this year, being named Most Trusted Brand and Best Performance Brand. Subaru is taking the crown for Most Trusted Brand from longtime winner Honda. Subaru is also about building performance oriented vehicles like the 2015 Subaru WRX and WRX STI and BRZ sports cars. What really put Subaru on performance enthusiasts radar started back in...read more. 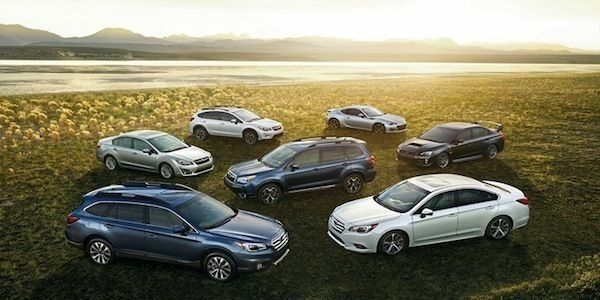 Subaru wins with help from the highly rated, Outback, BRZ, Impreza and Forester models in their stable of cars. In addition to many model-specific accolades from KBB this year, Subaru has experienced massive success in KBB's 2015 model-year awards, also winning the top overall brand title for both the 2015 Best Resale Value Awards and 2015 5-Year Cost to Own Awards. What does KBB say about Subaru? Honda is still popular with buyers of the non-luxury brands and did win the Best Overall Brand and Best Value Brand awards. Subaru and Honda were the only two automakers with two Non-Luxury Brand awards in this year’s KBB Brand Image Awards. Both automakers have a loyal following of devoted buyers who keep their vehicles and pass them down to family members. Subaru has been outperforming the industry for years in increase of sales and brand loyalty. Especially here in the U.S, their performance has been remarkable. And performance is the key word not just in sales performance, but in how their cars perform on the road. Subaru makes cars that are fun to drive. Subaru has created a niche market position with their entire lineup that includes the popular 2015 Outback and 2015 Forester models that combine outdoor adventures with all-wheel-drive, and they give buyers fun with the 2015 BRZ and 2015 WRX/STI performance models. Subaru has three values they seem to promote, recreation, fun and safety. It seems to be working well for the Japanese automaker.